[PDF] How to Unplug Your Child: 101 Ways to Help Your Kids Turn Off Their Gadgets and Enjoy Real Life | Free eBooks Download - EBOOKEE! Description: Split into bite-sized chapters, from fun indoors to activities on the go, food and cooking to science and nature, this book is packed with activities for all ages of children from preschoolers to even the most jaded, screen-obsessed teens and the kid in all of us too. From crocheting to garden camping to sands sculpting, How to Unplug Your Child will give you and your kids a host of things to do after school, at the weekend and during those long holidays. 2017-10-18[PDF] How To Empower Your Child When You're Divorced. 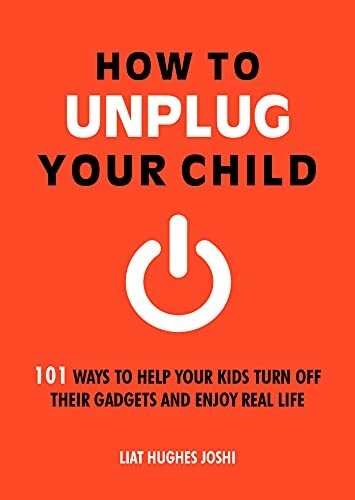 No comments for "[PDF] How to Unplug Your Child: 101 Ways to Help Your Kids Turn Off Their Gadgets and Enjoy Real Life".